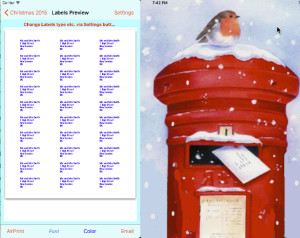 To print return address labels, first go to any of your lists and tap the print button. 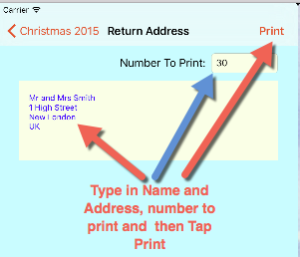 Then tap Return Address Labels to display the Return Address entry screen. 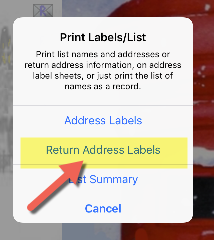 Then just type in your return address (or actually any information that you want printed on several labels). The Number To Print should start off as the number in the list you started with in the first step. However, you can change this to whatever number you want. 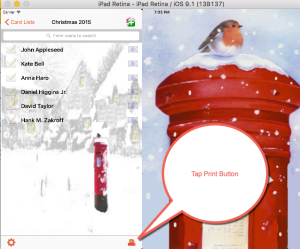 When completed, tap the print button. You will then see a preview of the return address labels. 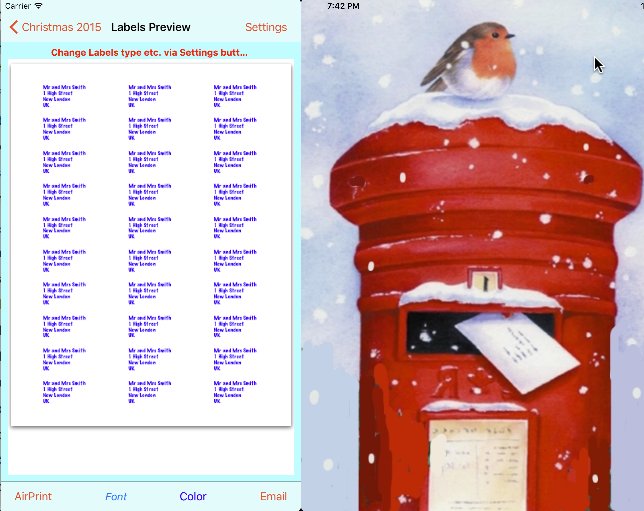 You can change the label sheet type etc. by tapping Setting on the top right. Similarly, you can change the Color and Font by tapping the appropriate buttons. When you are ready, tap the AirPrint button or Email as desired.